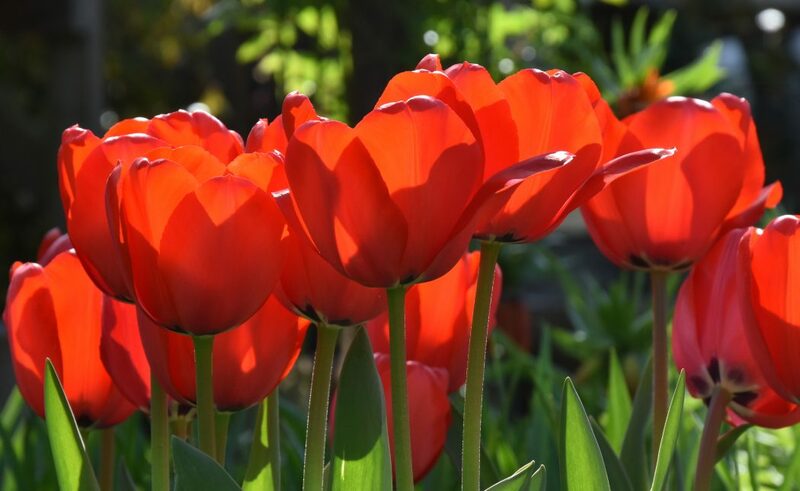 I’m experimenting with colour combinations and this is one I might try to recreate with tulip varieties when I come to look at container displays later this year. 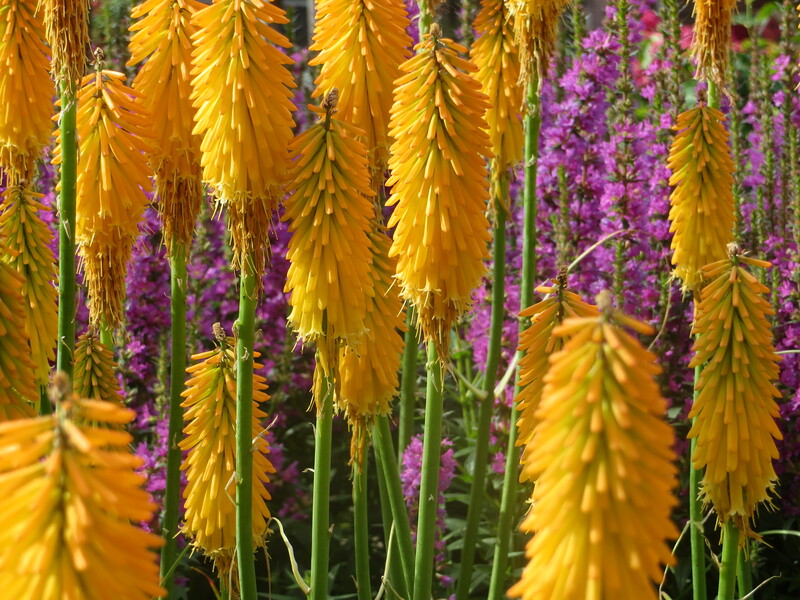 I am not a big fan of the red hot poker, in the more traditional guises at least, but this mango incarnation, with solidity of colour works for me, if only it remained as fresh looking as this. And that I had an extensive south facing border to play with…. The purple loosestrife (Lythrum Robin) in the background is a cool colour companion, a rosy purple, making the orange even more vibrant. I’m thinking that it likes more soil moisture and that it is a little vigorous (both ‘running’ and self seeding) – so I might avoid it in the gardens under my care unless I can deadhead regularly and watch the spread. For a good book on colour, I’d recommend ‘Contemporary Colour in the Garden‘ by Andrew Wilson (Timber Press 2011), which looks at how different colours affect us; how we perceive colour and how light affects it; what different colours mean to us; how they interact; energy and excitement in colour composition and ‘igniting opposites’; colour saturation and depth as well as colour harmonies; unusual colour combinations….. A thoughtful book with excellent photography and grounded in good horticulture, as one would expect from Mr Wilson.